What Does John 11:55 Mean? 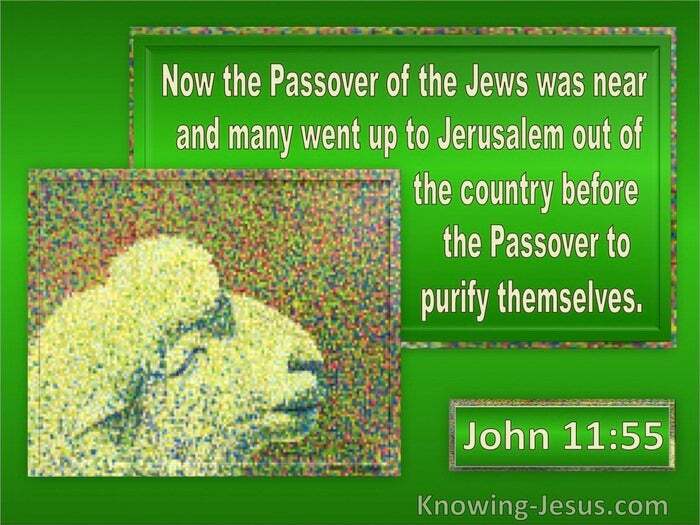 Now the Passover of the Jews was near, and many went up to Jerusalem out of the country before the Passover to purify themselves. Over half of the gospel of John details the last few weeks of Christ's earthly ministry, before His death on the cross. The mention of the approaching Passover of the Jews, in chapter 11, reminds us that His sacrificial death at Calvary was fast approaching. The Passover was the first of three, annual feasts of the Lord, which every Jew was required to celebrate in the holy city of Jerusalem, but over the years God's Feast of Passover had become nothing more than a religious "feast of the Jews". Instead of Israel looking expectantly for Jesus, and welcoming Him as their Messiah and King, the religious authorities stealthily waited to ambush Him, arrest Him and falsely accuse Him of blasphemy. Rather than recognising Jesus as the Passover Lamb, Who would take away the sin of the world and save His people from their sin, they ignored the testimony of John the Baptist, the signs and wonders that authenticated His messianic claims and the audible witness of His heavenly Father, Who said, "This is my beloved Son, in Whom I am well pleased. 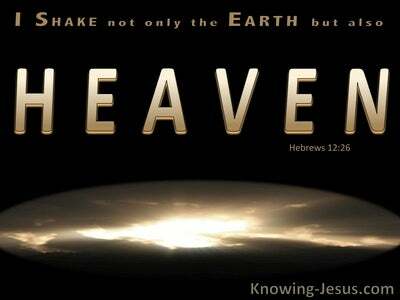 Hear ye Him". 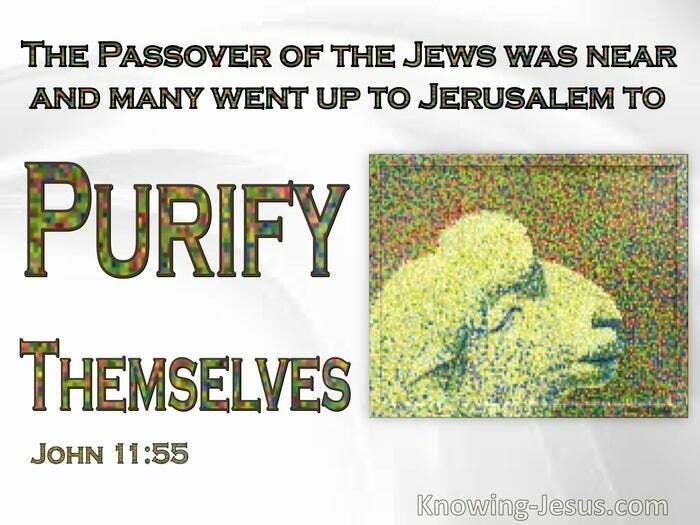 One of the essential elements of the Passover celebration was purification. The Law of Moses identified many external ways that a Jewish man or woman would become unclean, such as contact with a dead body or contracting some contagious, physical disease. Jews flocked to Jerusalem for the Passover feast, from all over the world, to purify themselves and become ceremonially cleansed of various defilements, before the Passover celebration began, and so we read, "Now the Passover of the Jews was near, and many went up to Jerusalem out of the country, before the Passover, to purify themselves." But Scriptures also taught that God requires moral and spiritual purity of the inner man. He desires an inner cleansing of the heart - a cleansing of impure thoughts and ungodly motives. Jeremiah called on Israel to cleanse their heart from wickedness, while Joel commanded them to rend their heart, and not their garments, and to turn back unto the Lord their God. The shocking way that the religious leaders plotted against the King of glory for their own selfish ends, shows the depths of defilement to which man will stoop, when their heart is not right before the Lord. We do not have to undertake the annual cleansing rituals, as laid out in the Law of Moses, but we do have to purify our hearts before the Lord - and we do this by trusting in the death, burial and resurrection of the Lord Christ for the forgiveness of sin and by living each day in a way that honours His name. We are justified by grace through faith, and we are also called to live a sanctified life by grace through faith. Only in Him can we be declared righteous before God and only in Him can we grow in grace and become more and more like the Lord Jesus - as we die to self and live for Him. 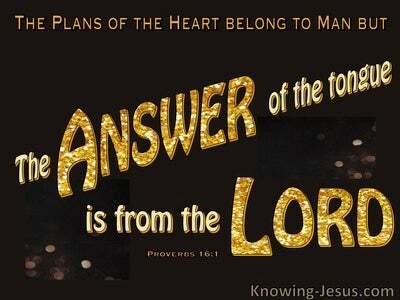 Heavenly Father, thank You for the Scriptures that teach us the importance of having a heart that is right before You. 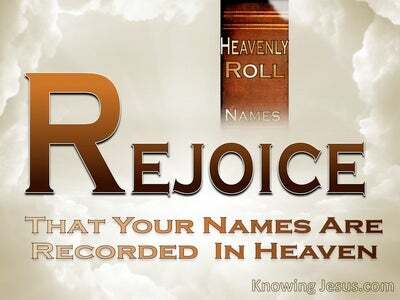 Thank You that by faith in Christ I have been declared righteous and given everything I need for life and godliness. Help me grow in my Christian life and to live in a way that is well-pleasing to You. Search my heart and cleanse me daily from impure thoughts that dishonour Your name. Thank You for sending Your dearly beloved Son to pay the price for my sin and freeing me from the mastery of sin in my life - through the power of a sanctified heart. 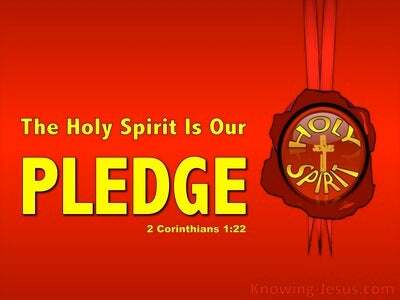 Help me to abide in Him and He in me, so that my life may bear much fruit for Your praise and glory - this I ask in Jesus' name, AMEN.